The last available copy of an edition of only 20. 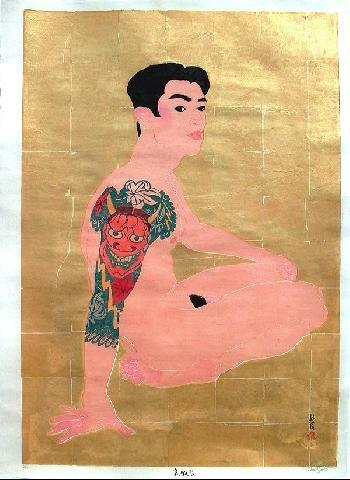 The loincloth (in fact a separate woodblock print) in the picture to the right is removable. Fine impression colours and condition.